One of the greatest factors to have affected competitive athletics has been the incorporation of organized strength & conditioning programs into high school, collegiate, and professional athletic programs across the country. Strength & Conditioning programs have made competitive athletics more explosive and more exciting, as athletes have made great improvements in strength, power, speed, speed endurance, and body control. During the early 1970's, several intuitive universities, realizing the importance of the role of strength & conditioning, created a new full-time position--the strength & conditioning coach. Since that time, strength and conditioning programs have become an integral part of athletic programs across the country. Many universities today have large conditioning staffs to meet the increased demands placed on the strength and conditioning coach. Regaining our identity as professionals as collegiate strength & conditioning coaches and having a full-time strength & conditioning coach at every university/college and eventually at every high school with a competitive athletic program. We strongly discourage dual job responsibilities, i.e., strength & conditioning coach and, for example, sport coach, athletic trainer, physical therapist, personal trainer, teacher/researcher, etc., because each of these areas in and of itself is extremely broad and vast in scope, making it impossible to stay current on applicable research, skills, techniques, etc., while performing duties in more than one area. In addition, dual certification in more than one of these areas potentially decreases the quality and quantity of jobs available to the full-time, collegiate strength & conditioning coach. Complete unification of all collegiate strength & conditioning coaches. Encouraging loyalty to the association and to fellow strength & conditioning coaches/members of the association. 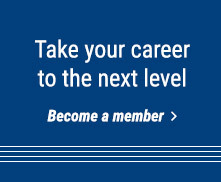 This includes providing assistance to those members who have lost their jobs, through the posting of job openings, free of charge, on the CSCCa website, as well as promoting networking among CSCCa members themselves. Improving the respect, salaries, status, and job security of the collegiate strength and conditioning coach through making athletic administrators aware of the value of the strength and conditioning coach, as well as the level of education, experience, and expertise necessary to become a full-time strength and conditioning coach. Providing opportunities for professional development for all collegiate strength & conditioning coaches (knowledge, research, skills, techniques, philosophies, etc.) in educational settings (clinics, symposiums, seminars, National Conferences, newsletters, internet, etc. ), as well as through the sharing of experience and expertise among the strength & conditioning coaches themselves. The association will do everything possible to keep collegiate strength & conditioning coaches current on the latest research and its application in the field. Bridging the gap between exercise science/research and its practical application in the field of strength & conditioning by providing opportunities for students to complete practicums/internships/residencies/graduate assistantships under a head or Master Strength & Conditioning Coach with the SCCC certification. Promoting/opposing legislation and policies within the NCAA to serve the best interest of the student athlete and the collegiate strength & conditioning coach. Providing effective communication, as well as promoting positive relationships with the media, the public, as well as other professional organizations. 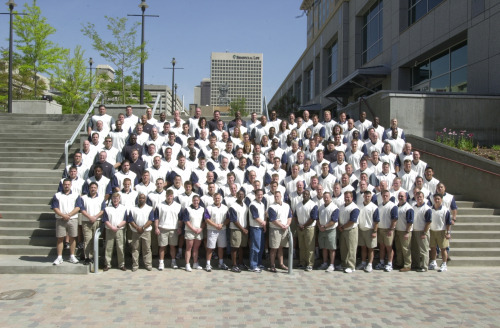 The CSCCa held its first national conference in Salt Lake City, Utah, in May 2001, and had well over 100 collegiate strength and conditioning coaches in attendance. The organization has continued to grow and now has well over 1,600 active members. In 2006, the organization's membership voted to expand the organization's membership base to include strength and conditioning coaches of professional athletic teams. The CSCCa welcomes all full-time strength and conditioning coaches of professional athletic teams (NFL, NBA, WNBA, NHL, MLB, etc.) who would like to become a part of this unique organization.